A monthly podcast focusing on different General Aviation aircraft accident in each episode. 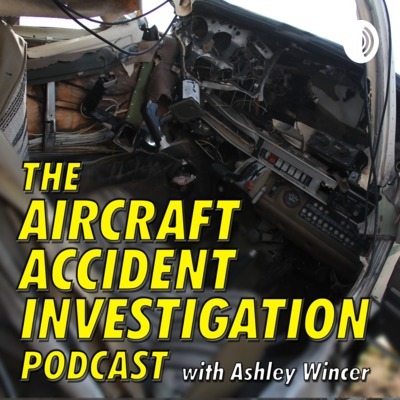 The Aircraft Accident Investigation Podcast. Collision with terrain involving a Cessna 172S in Victoria, Australia. The report and discussion about the ATSB investigation findings. Episode 1 - Loss of control and collision with terrain. Cessna 182. A student pilot conducts solo night patterns (circuits) in a Cessna 182. After initiating a go-around, the student pilot suffered a loss of control and collided with the terrain. The student pilot was fatally injured. This audio podcast is a reading of the official report issued by the Australian Transport Safety Bureau (ATSB).